Recently I took to the air in a bi-plane flight over San Diego. The plane was a 1927 bi-plane, and we sat in between the upper and lower wings, with the pilot cockpit behind us. I had 3 cameras - my Canon SLR for stills, a GoPro Hero3 for continuous video, and my iphone 6 for whatever I managed to capture without dropping it out of the plane! It happened to be a gorgeous sunny clear day, one which would otherwise find me surfing in the water. I'd seen the planes many times from my surfboard, and now, it was my turn to be in that plane doing the flyovers along the San Diego coast. The first highlight was flying over Cardiff and spotting our house. The pilot did some circling and we must have annoyed the neighbors, but once I got the telephoto shot I wanted, I held tight to my iphone and captured this view, looking south, over the San Elijo Lagoon. Continuing south along the coast, we flew over the lines of surfers waiting for waves (they weren't that big or plentiful, but it was still a great day to be in the water...or flying over it). 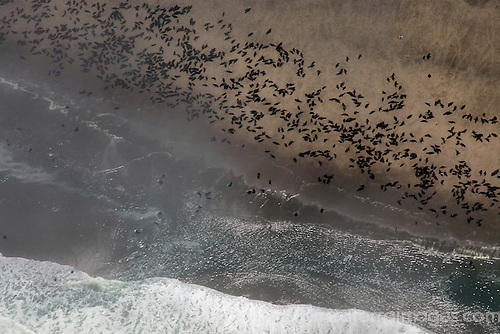 From the air, it was easy to spot the rip currents, as seen here along Black's Beach. Then looking almost straight out at the Torrey Pines cliffs was pretty incredible too. So as I posted my instagram images of flying over my native coastline, I thought back to one of the most incredible flight-seeing experiences I've ever had, a flying safari over Namibia. 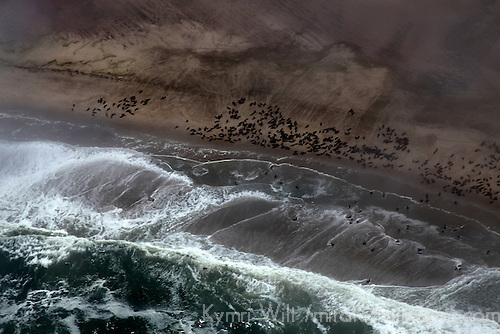 The biggest highlight was flying over the incredible colonies of Cape Fur Seals on the Skeleton Coast, where the desert dunes meet the ocean waves. I posted a few of those early iphone shots in my earliest days of using instagram, when no one was paying attention to my posts except perhaps my daughter. But honestly, even the best filtered instagrams (which the above were not), just can't capture the detail that an SLR does. Namibia is fascinating by air, absolute eye-candy for cameras, with treats such as the red sand dunes of Sossusvlei, the salt pans of Etosha, and the mysterious "fairy circles" that dot the landscape. to Niagara Falls in Canada/United States. There are just too many beautiful aerials to feature, so I hashtagged my favorites on instagram #aerialsbykymri, so you can find them and have a closer look, maybe show some love if you love! It's #IGTravelThursday, so check out these other instagram travel stories and photography features! Wow! 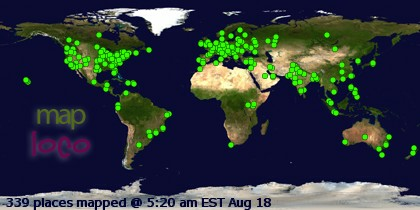 What an opportunity to see all these amazing sights from above! Your photos are incredible - particularly those from Namibia! I think I would be too distracted by the scenery below to remember to take photos. I love taking aerial shots too!! Some of the best views! Wow, just wow! What amazing pictures! Being up in the air really gives a totally different perspective to a place.